Pep Guardiola has intimated that he needs other clubs to step up and do Manchester City a favour if his team has a chance of winning the Premier League this year. With Liverpool four points clear, City can only overtake us if we drop points on more than one occasion, having already played City both home and away. For us, this seems like mind-games, although Pep does admit we deserve to be where we currently are. 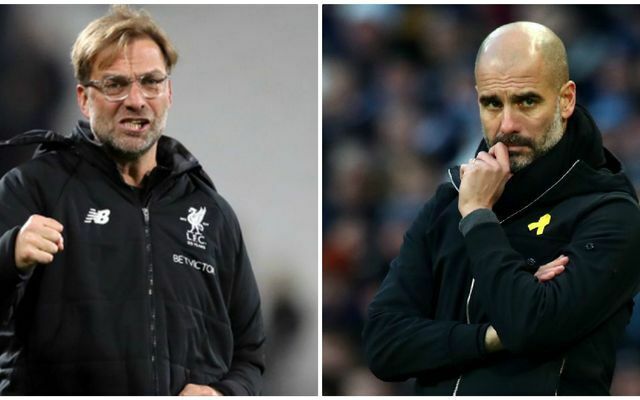 “We cannot play the games against Liverpool so we can’t do anything about their own games,” Pep told BBC Sport. “They belong to them. All we can do is win our own games. “We have spoken many times with our players so we know we can only control what we do. Maybe one day they will fail and we will be there. Liverpool have to channel their focus internally and concentrate solely on the next game. That approach so far has seen us rack up the wins, without always playing to our highest level. It’s Crystal Palace at Anfield next, before we host Leicester and then head to West Ham’s London Stadium at the beginning of February. Really, nine points from these fixtures should be considered a bare minimum – and a necessity with City flying again after their December blip.